Invisible skyscraper? Yes, it's possible and South Korea is building one! If you once thought constructing an invisible skyscraper was impossible, think again. You may not see something like the Invisible Man, but, yeah that's the idea. 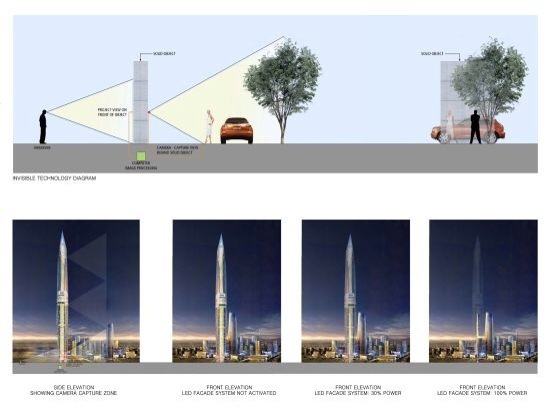 According to a recent press release, US-based GDS Archictects will be building an invisible 450m tower in Seoul, South Korea, a first of its kind to be ever built. To give you an idea, the skyscraper, called Infinity Tower, is slightly taller than our own Kuala Lumpur Tower which stands at 421m high. Michael Collins, Director at GDS, says the tower will boast the third highest observation deck in the world and will use a sophisticated LED façade system with optical cameras to create the illusion of invisibility. The building will feature a significant amount of clear glass with open floor plans, allowing visitors to look down multiple levels. There are plans to make the skyscraper a mega billboard where advertisements and special screenings are expected to be broadcasted across its surface. The tower is also set to include a water park, movie theaters and restaurants, making it a truly unique multipurpose building. 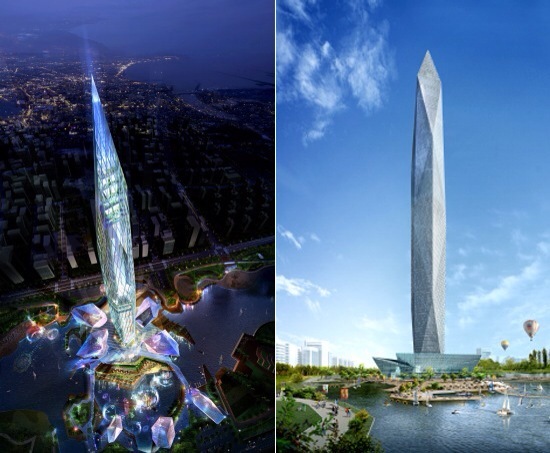 No completion date has been set yet, but when completed, it's expected to come in 6th on the list of the world's highest towers, behind Tokyo SkyTree, Guangzhou's CantonTower, Toronto's CN Tower, Moscow's Ostankino Tower and Shanghai's Oriental Pearl. Without a doubt it will become one of the great attractions in Seoul.